Hi, Can you please recommend an effective application to treat mosquito infestation in my back yard. Thanks ! We just renovated our back yard and are able to use it, but now realize what a big mosquito infestation we have. With a disabled parent in the home I need to minimize any possible disease transmission to an already compromised immune system. I'm a repeat customer who have always found your information and products to be outstanding, and ask that you please direct my steps on this new quest. 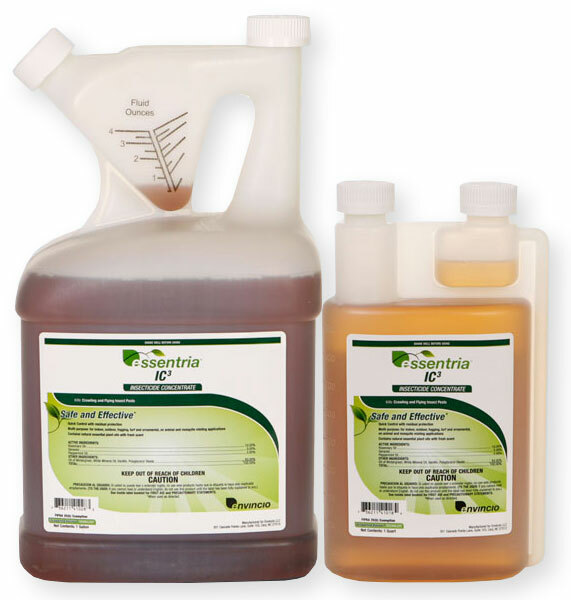 I would recommend trying one of the organic products such as Essentria IC3, Mosquito Barrier or EcoSafe Mosquito X. Any of these products will kill mosquitoes on contact and also help to repel them. They will require regular reapplications, usually at least 1 time per week or after a rain for best results. If you don't get adequate results with these products, then you will have to use something a little more toxic such as Bifen IT or Talstar.